So precious. Love that quilt, too. Thanks. 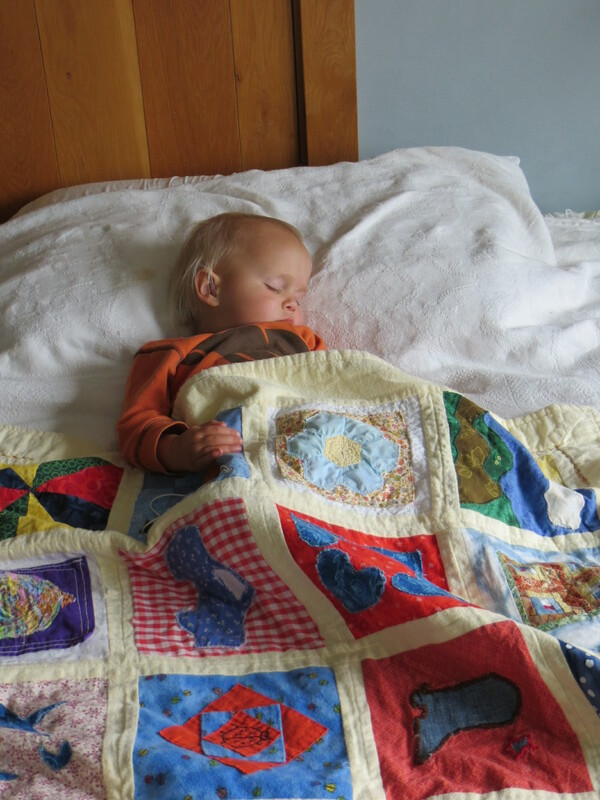 It is the quilt that was made for his “birth” day present.